For a traders data is important thing when it comes to analysis. Without the help of chart one cannot analyze short term price movement. For intraday or short term traders, intraday data of a stock is required to take trading decisions. Google Finance was one of the source that was providing NSE Equity intaday data for free. But now ( at the time of writing article) Goggle stopped providing data, because of this may small traders who is completely depending on this source is cannot able to get data, so now they need to find alternative, for that alternative we have a solution. 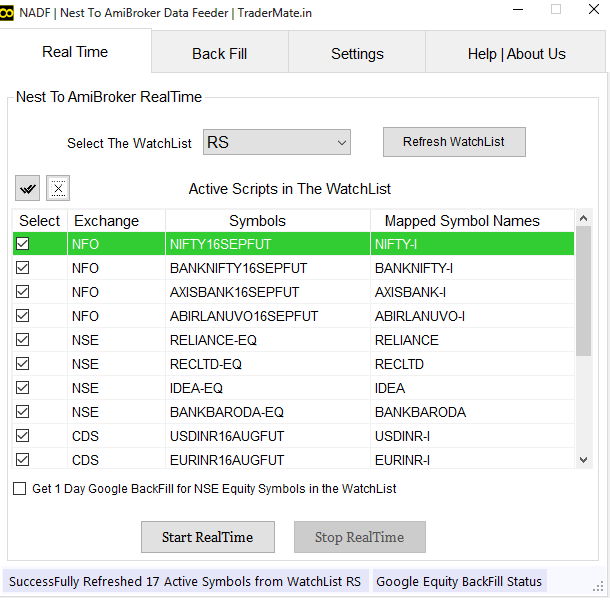 We have developed two utilities, which has many features, one of the feature is NSE equity data for amibroker. I have provided the link of Two software's, visit that link and try the software, which may fulfill your needs.